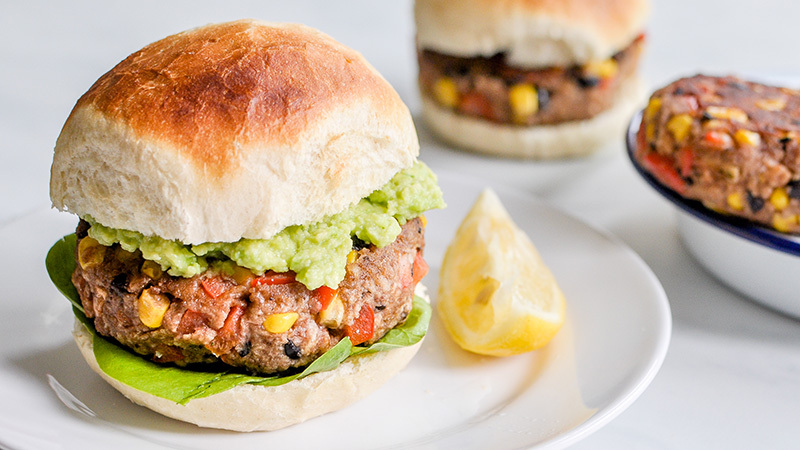 Our tasty Smokey Refried Bean Burgers are perfect for occasion. Drain the black beans and add them to a bowl with the breadcrumbs, egg, chopped pepper, and garlic powder. Stir in the Old El Paso Spice Mix. Make sure the mixture holds well together, adding more breadcrumbs if necessary. Divide into 4 equal portions and shape into 4-inch patties. Top the burgers as desired, sharp cheddar cheese and guacamole are great options. The burgers can be saved in the fridge for a few days.